Is swallowing gum bad for you? We de-bunk the myth. 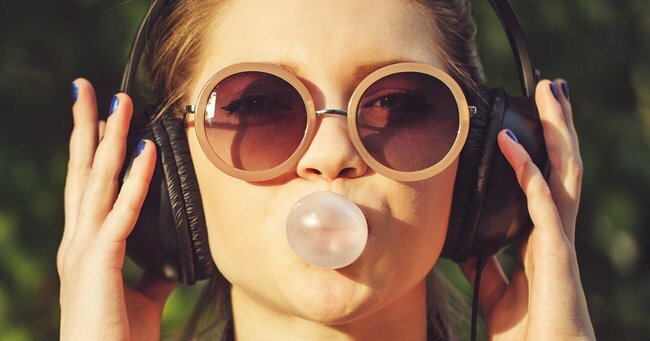 Is swallowing chewing gum actually bad for you? We asked an expert. Here I was, about to walk into a cafe with my boyfriend when I stopped. I have to find a bin before we eat, I told him. He was puzzled, but indulged me. Sure, let’s find a bin, he said. Upon throwing my unappetising and well-chewed piece of gum into the bin, he looked at me, his brows a little furrowed, and asked me why I didn’t just swallow the gum before eating lunch. Why did I feel the need to go out of my way to find a bin? Did he just say…swallow? And risk the gum getting stuck in my lungs and staying in my system for the next seven years? You can’t just swallow gum. That’s like the first thing you’re told when you come out of the womb: Welcome to the world, this is your dad, your mum, look before you cross the road and don’t swallow chewing gum. … Isn’t it? Or had I just internalised a myth I’d been fed as a four-year-old and proceeded to live my life by it? Perhaps. So I enlisted the help of Dr Dasha Fielder of Sapphire Family Medical Practice in Bondi Junction to settle my wackiest chewing gum questions. First up, am I justified for wanting to find a bin to spit chewing gum out, or should I save everyone time and just swallow the thing? So if it’s not great for you, what does that actually mean? What happens to the gum when you swallow it? Oh, and while we’re on the myth buster subject, what actually happens to your skin when you tan? Post continues after video. Dr. Fielder explains because gum is such a sticky substance, it’s really difficult for your body to break down and therefore digest. “It’s definitely not a good idea to swallow it on a regular basis because what you’re doing then is producing a lot of undigested gum,” she says. Basically what that means is that your body will try as hard as it can to break down the gum when it’s inside you, but if it proves too difficult, it’ll come out the other end undigested. And when Dr. Fielder says your body will spend a good amount of time trying to breakdown the gum, we’re not looking at a timeline of, say, seven years. In fact, for Dr. Fielder, she’s more concerned about people choking on the gum they’re trying to swallow than anything else. Naturally, this concern is more pronounced in children because a child’s trachea is much smaller than an adult’s and the gum is more likely to get lodged in there. So it’s best to reach for the bin after all. Do you swallow your chewing gum?